Pennsylvania winters are both beautiful and potentially dangerous, especially if you are on the road a lot for work or pleasure. While most drivers know to slow down and be careful in snowy weather, there will always be a few who ignore the potential dangers. If you or a loved one have been injured in a winter weather-related auto accident, you may be able to seek compensation for your injuries, especially if you are able to show that the weather created a more dangerous situation than might otherwise have happened. Winter weather’s unpredictability plays a big role in creating accidents during those months, and it also makes a difference in how severe an accident will be if it does occur. Statistics from the Department of Transportation estimate that almost 6 million traffic accidents occur yearly, and of those, winter weather was a factor in 21 percent. Wet pavement (whether from snow, rain, or something else), heavy storms and icy conditions are the major contributors, but it is also not implausible for all three of these conditions to occur simultaneously. Weather-related vehicle accidents actually kill more people, on average, than large-scale disasters like hurricanes or floods. Statistics also point to Pennsylvania as one of the five deadliest states in the U.S. for these events, with Great Lakes-related weather patterns pointed to as a factor in countless wintertime car accidents. Combine sudden snowstorms and black ice with the usual causes of auto accidents (substance abuse, speeding, and the like), and you have a recipe for heightened injury and death for Pennsylvanians. 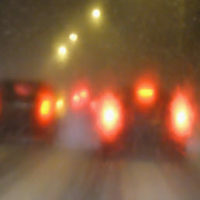 If you have been injured in a winter weather-related accident, and you decide to bring suit against the driver you believe is liable for your injuries, using the weather as a factor in that argument can be useful – for example, if the defendant in your suit was shown to have been driving the speed limit, you may still be able to argue they should have been driving slower due to the inclement weather. By the same token, the defendant may argue that your car should have been going slower as well. However, even if you are found partially liable for your own injuries, the doctrine of comparative negligence holds that you can still recover as long as your percentage of fault is not greater than the defendant’s (or defendants’, if there are multiple defendants in your case). In order to show liability, you must be able to show that his defendant breached their duty to exercise reasonable care while driving, and that their breach of duty caused you harm. This can be difficult to show, especially if the defendant tries to use the weather as a mitigating factor. You and your attorney must know how best to show that a reasonable person would have conducted themselves differently than the defendant did, and be able to show the consequences of the defendant’s actions to the court. Car accidents are something every driver must be careful to avoid, but bad winter weather can make that more difficult than usual. If you have been injured in a car crash, and you believe that the weather might have been a factor, contacting an experienced car crash attorney can make the difference. The Needle Law Firm serves most of northeastern Pennsylvania, including Lackawanna, Luzerne, Monroe, Pike, Susquehanna, Wayne and Wyoming counties. Call us for a free consultation today.